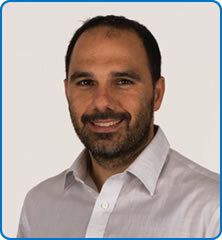 Mr Dimitrios Siassakos is a Senior Clinical Lecturer & Consultant in Obstetrics. He is the Women and Children’s Health Directorate Lead for Research, at NBT, with specific research interest in Perinatal Care, Stillbirth & Bereavement Care, Inter-professional Training, Complex Pregnancy and Recurrent Reproductive Loss. Mr Dimitrios Siassakos is a member of the Lancet Ending Preventable Stillbirth Series 2016 Group, Executive Board of the International Stillbirth Alliance, the Executive Committee of three national Clinical Study Groups (Intrapartum care, Stillbirth, and Global Health), several Department-of-Health Task Groups (Stillbirth Data, Perinatal Mortality Review, Brain Injury Measurement), and several regional, national, and international initiatives to reduce stillbirths and improve bereavement care. Mr Siassakos is leading several studies, in close collaboration with parents, to improve the outcome of pregnancy and birth, as well as the long-term outlook for families.